At least he isn’t texting. They played “The Twist.” And we did the Twist. They played “Jump!” And we jumped! They played “Come on Eileen.” I ended up in jail. 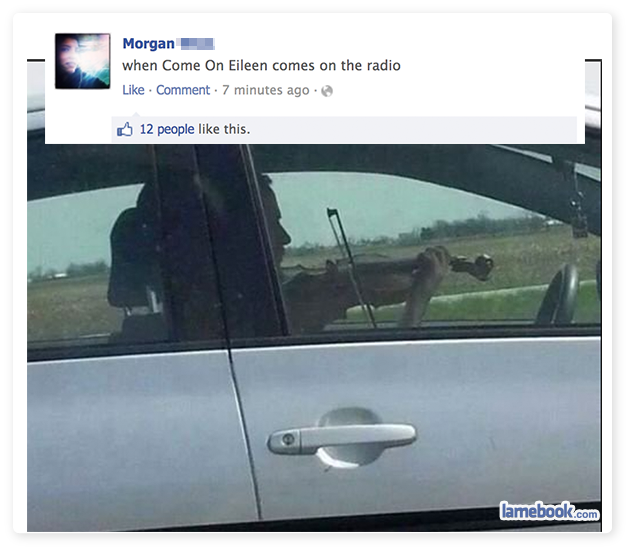 ^ You should have chosen a different Eileen.